If you write a blog, you'll understand the frustration when you think you have a good idea for content and for it then to all go somewhat awry. The weather has been absolutely stunning here recently and I've spent as much of it as I could in my garden, knowing that rain in the not so distant future was inevitable. 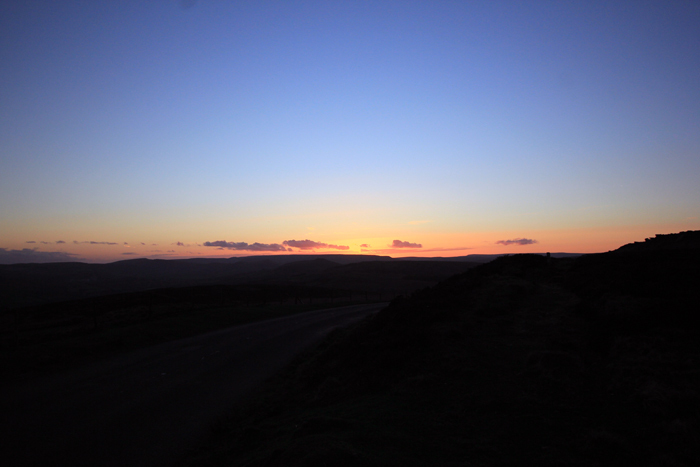 Having spent so much time at home, when Kyle got back from work one night, I had this sudden urge to drive out and get some shots over the moors of what was meant to be an absolutely glorious sunset. The tension was high as we drove towards the perfect spot, as the sun gradually got lower and lower in the sky. Kyle pulled the car over, I flung myself out and ran...for the sun to JUST go behind the hills in the distance. So very frustrating. It was still beautiful and obviously we had witnessed a lot of it with our eyes, just no record of it on my camera. 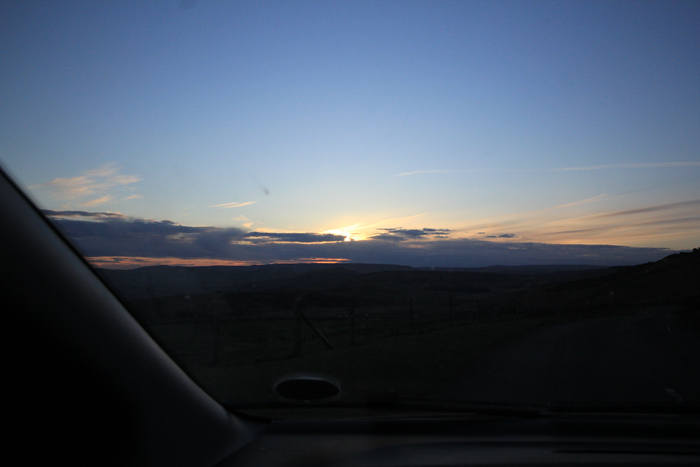 So when the other evening looked set to have another beautiful sundown, we hopped in the car with plenty of time to make it before it disappeared again. 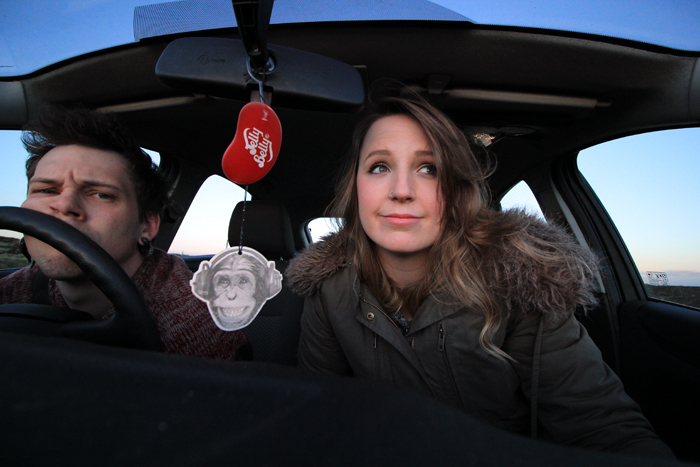 I was a little concerned by how much the car was rocking in the wind, but tried not to think too much about it. On arrival, I tried to leap out of the car, only to actually struggle to get the door open against the gale blowing across the hills outside and then to have it slam on my arm. Whereas back at home the sky had been relatively cloudless, here was a different story, as I watched the sun disappear yet again, only this time behind thick cloud on the horizon. I retreated to the car, disgruntled, but tried to see the funny side of the whole debacle. We sat and watched until the sky got dark. I think the above photo of Kyle accurately portrays how real the annoyance was! When the large majority of your blog content is based on nature, you learn very quickly that it can't always be planned. I think going to go back to my usual routine of bringing my camera along and playing it all by ear is probably for the best. Le sigh. Aww, I'm so sorry that you didn't manage to capture the sunset. On the bright side, the sun never fails to set everyday, so I'm sure there would be more opportunities? You look so disappointed, annoyed and amused all at the same time in that picture. Too cute! I hope you get to capture a beautiful sunset soon, I'm sure your photos would be amazing! you still got some pretty good shots though! Ha! That's hilarious! Mother Nature can be a right pain sometimes but I'm glad you decided to write this post as it just makes me feel so much better about my photographing disasters...and there are a lot!! I have the exact same problem living in Cornwall. I'm constantly planning perfect photo opportunities only for them to be ruined by the weather!